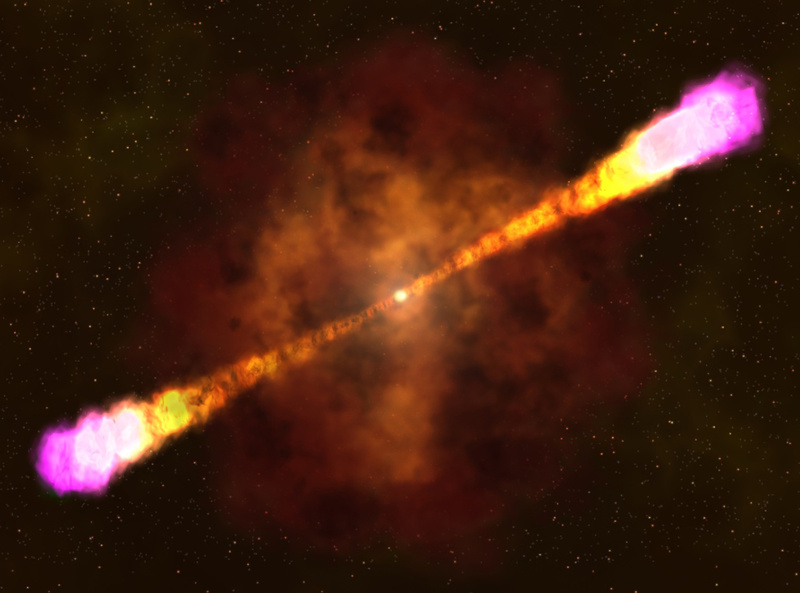 Gamma-ray bursts are among the most energetic and explosive events in the universe. They are also short-lived, lasting from a few milliseconds to about a minute. This has made it tough for astronomers to observe a gamma-ray burst in detail. Using a wide array of ground- and space-based telescope observations, an international team led by University of Maryland astronomers constructed one of the most detailed descriptions of a gamma-ray burst to date. The event, named GRB 160625B, revealed key details about the initial “prompt” phase of gamma-ray bursts and the evolution of the large jets of matter and energy that form as a result of the burst. The group’s findings are published in the July 27, 2017, issue of the journal Nature. The group’s observations provide the first answers to some long-standing questions about how a gamma-ray burst evolves as the dying star collapses to become a black hole. First, the data suggest that the black hole produces a strong magnetic field that initially dominates the energy emission jets. 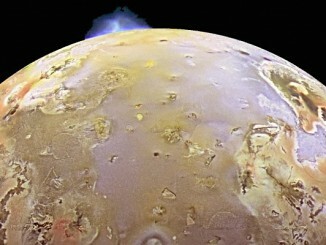 Then, as the magnetic field breaks down, matter takes over and begins to dominate the jets. Most gamma-ray burst researchers thought that the jets were dominated by either matter or the magnetic field, but not both. The current results suggest that both factors play key roles. The data also suggest that synchrotron radiation — which results when electrons are accelerated in a curved or spiral pathway — powers the initial, extremely bright phase of the burst, known as the “prompt” phase. Astronomers long considered two other main candidates in addition to synchrotron radiation: blackbody radiation, which results from the emission of heat from an object, and inverse Compton radiation, which results when an accelerated particle transfers energy to a photon. Comprehensive coverage of GRB 160625B from a wide variety of telescopes that gathered data in multiple spectra made these conclusions possible, the researchers said. NASA’s Fermi Gamma-ray Space Telescope first detected the gamma-ray emission from GRB 160625B. Soon afterward, the ground-based MASTER-IAC telescope, a part of Russia’s MASTER robotic telescope network located at the Teide Observatory in Spain’s Canary Islands, followed up with optical light observations while the prompt phase was still active. MASTER-IAC gathered critical data on the proportion of polarized optical light relative to the total light produced by the prompt phase. Because synchrotron radiation is one of only a limited number of phenomena that can create polarized light, these data provided the crucial link between synchrotron radiation and the prompt phase of GRB 160625B. A magnetic field can also influence how much polarized light is emitted as time passes and the burst evolves. Because the researchers were able to analyze polarization data that spanned nearly the entire time-frame of the burst — a rare achievement — they were able to discern the presence of a magnetic field and track how it changed as GRB 160625B progressed. In addition to the gamma-ray and optical light observations, NASA’s Swift Gamma-ray Burst Mission spacecraft captured X-ray and ultraviolet data. The Reionization and Transient InfraRed/Optical Project camera — a collaboration between NASA, the University of California system and the National Autonomous University of Mexico installed at Mexico’s Observatorio Astrónomico Nacional in Baja California — captured infrared data. The group also gathered radio observations from Commonwealth Scientific and Industrial Research Organisation’s Australia Telescope Compact Array, located north of Sydney in rural New South Wales, and the National Radio Astronomy Observatory’s Very Large Array outside of Socorro, New Mexico. 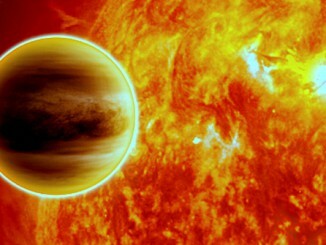 NASA’s Hubble Space Telescope has detected a stratosphere, one of the primary layers of Earth’s atmosphere, on a massive and blazing-hot exoplanet known as WASP-33b orbiting a star in Andromeda 380 light-years away. 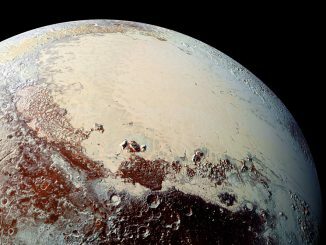 A liquid ocean lying deep beneath Pluto’s frozen surface is the best explanation for features revealed by NASA’s New Horizons spacecraft, according to a new analysis. The idea that Pluto has a subsurface ocean is not new, but the study provides the most detailed investigation yet of its likely role in the evolution of key features such as the vast, low-lying plain known as Sputnik Planitia (formerly Sputnik Planum).